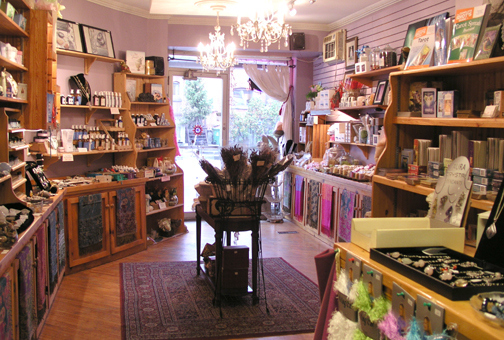 We have a large inventory of essential oils, dead sea salts, hand made body soaps, bath bombs, jewelry, cards, stones, runes, etc…. Our essential oils are harvested from all over the world. Prices may be reflective of anything from the distillation process, climate and/or crop production or failure. Since we only publish our catalog once a year and since the market fluctuates constantly, we do our best to insure the stability of our oil prices. If prices do go up, we must pass them along to our customers, likewise, if we are able to purchase our oils in larger quantities for lower prices please be assured that we will pass our savings to you. An inspired and spiritual outlook on life. And of course- beautiful candles. Since walking into Janice Milligan’s shop, Just the Essentials, I have learned how to live a more spiritual life, found inner peace (well some of the time! ), developed an attitude of gratitude and added meditation into my life. Not to mention meeting like minded people and feeling a part of something I am passionate about.